It is common to see a baby having sunbathe in the morning. This activity may indeed make his/her body healthier. Not only provides warmth, baby’s morning sunbathing may thin a sputum, reduce jaundice due to high bilirubin, as well as activate the formation of vitamin D inside the body. Vitamin D may prevent bone disorder by helping the absorption of calcium. Despite the many benefits, sunbathing a baby should be done carefully. Excessive sun exposure to your little one may increase the risk of skin cancer at a later time. This is the reason why protection to sunlight is very important for your little one. The American Academy of Pediatrics has released a guideline that babies 0 to 6 months old should not be exposed to sunlight directly. Indonesian Pediatric Society (IDAI) recommends that babies are sunbathed in clothes. About 30 minutes prior sunbathing, rub the babies’ skin with sunblock of SPF 15 in minimum. Avoid sunlight exposure between 10 am to 4 pm due to its highest radiation of UVB ray. A child with a family history of skin cancer, fair skinned, and has freckles/brown spots on the face should me more careful. So, when is the proper time to sunbathe your little one? Child health experts said that the best time is between 6 to 7.30 am, where the sunlight is not yet intense and stingy. It does not take too long to sunbathe your little one, between 10 to 30 minutes in maximum. Avoid dust exposure while sunbathing. If the situation and condition is not feasible, do not force to sunbathe your little one. Make sure your little one’s eyes are not exposed to direct sunlight while sunbathing. You can cover his/her eyes with delicate cloth or position the baby’s head in the opposite direction from the sun. Once finished, give breastmilk immediately to prevent dehydration. Then wait for a while before you bathe your little one using warm water. Every Daddy’s and Mommy’s hope, is of course, for the process of growth and development of the Little One to be optimal. 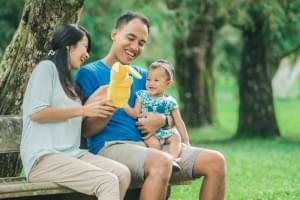 Not infrequently, Daddy and Mommy become worried when the achievement of growth of the Little One is not as fast as the friends of his or her age. 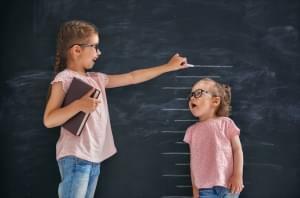 Not infrequently, your Little One gets taller faster than the increase of his/her weight gain. 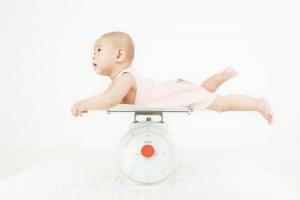 As a result, your Little One has a below normal weight on the growth curve. The growth of the Little One goes rapidly since he/she was born until the age of 3 years. The development of his/her brain needs to be trained from an early age. What is needed for that is an appropriate stimulation according to the Little One’s age.